Mission and Discipleship | We attended the International Fresh Expressions Conference! Posted February 19th, 2016 by Uniting Presbyterian Church in Southern Africa & filed under News, Success Stories. 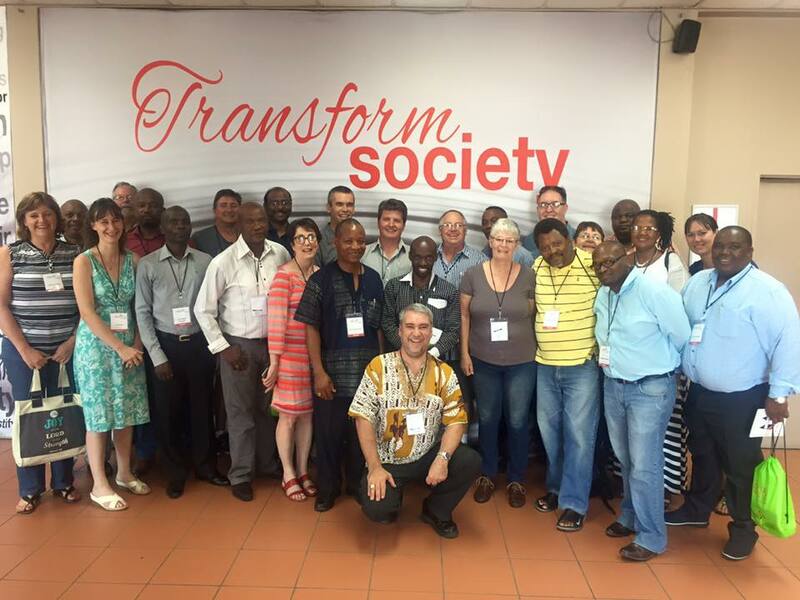 From 16 to 18 February 2016, the International Conference on Fresh Expressions took place in 291Goodwood, near Cape Town, in the Western Cape. This marked the first time that such a Conference had been held outside of the United Kingdom. The UPCSA was represented by a significant delegation (25 or so) including the Moderator of General Assembly, the General Secretary, the Clerk of the Assembly and the Convener of the Priorities and Resources Committee. the PC(USA)’s drive to grow by planting new worshipping communities that may not look anything like the “pews and pulpit” institutional church but are nevertheless authentic “Jesus” Communities of worship, learning, serving and care. The Conference included six keynote addresses which explored the six key emphases of fresh expressions. “What is a fresh expression?” “True worship”, “authentic relationships”, “mixed economy”, “discipleship” and “community Transformation”. There were a combination of International and local speakers including our Prof. Jerry Pillay. Workshops were held each afternoon and opportunities for story telling in the last session of each day. ambitions objective of starting or recognizing 1001 New Worshipping communities. The Conference and the Fresh Expressions Movement (of which the UPCSA is a partner) has given us the confidence to engage our members and leaders in developing strategies that will help us to be a growing denomination. process, work with God for the transformation of our neighbourhoods and cities.